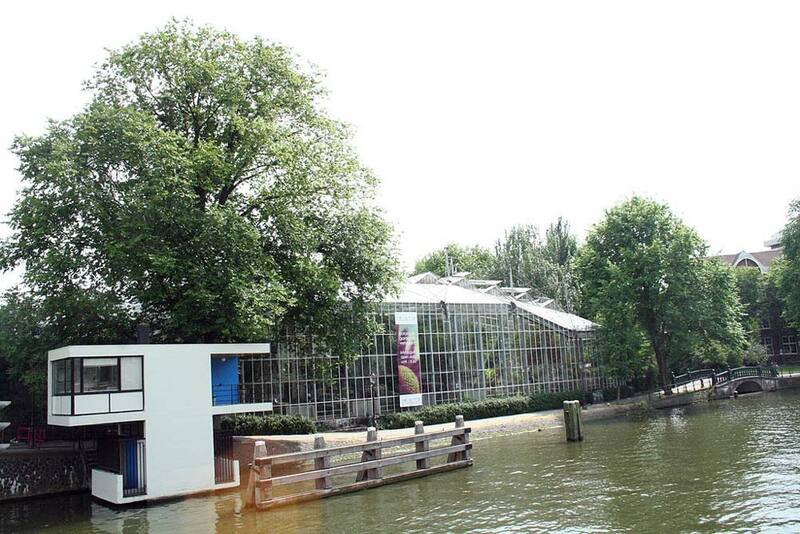 The Hortus botanicus of Laiden is one of the oldest botanical gardens in the world, and the oldest in the Netherlands. Located in Amsterdam, the gardens were created in 1590 by members of the Leiden University, but naturally there have been many changes since this time. A first major change came in 1594 when the entire garden was made into an herb garden for medicinal plants by Carolus Clusius. Plants with medicinal properties were not the only thing introduced to the garden. Tobacco, potatoes and even tulips were also brought in during this time. Visiting The Hortus botanicus is like walking through a museum of nature. The botanical garden has over 10, 000 species of flora, as well as many types of birds. There is an orangery of mammoth proportions that was installed in 1744, as well as a nut field, a Japanese-themed garden, a fern garden, and a rose garden. The oldest remaining section is the Front Garden. This actually remains from 1590, and now hosts a reconstructed version of the 1594 garden that was introduced by Clusius. From the early days of construction, the garden has been a hub of research, display and education. Visitors can enjoy a range of native plants, including many that were introduced from overseas, such as the extensive collection of Japanese plants that are still present today. The garden is known for a range of exhibitions, such as the “Tulips in the Hortus” exhibition. There is also “Polder day,” where the local agricultural facilities are opened to the public, allowing them to see farms, gardens and mills of the area. There is generally something fun and educational happening at the Hortus botanical, but exhibition dates are limited, so be sure to enquire before attending. There is public transportation available for visitors, and private vehicles can also access the nearby area. Please keep in mind that this destination is outdoors, so some visitors might be uncomfortable during colder months. This is an ideal location for those who love nature as well as people who are interested in history. Hello, I am glad to have a chance to write to you. I am a fan from China. Although I live in China,I always looking for every chance to watch your Botanical Garden on Internet.Your Botanical Garden was very beautiful.When I was a child, I liked to go to the Botanical Garden very much.Go to see all kinds of Botanical Gardens，and I found than can learn a lot of knowledge.I like to visit Botanical Garden around the world, to understand different plant cultures, and I really hope to have the opportunity to visit your Botanical Garden one day. A crow felt very thirsty. He looked for water everywhere. Finally, he found a pitcher.But there was not a lot of water in the pitcher. His beak could not reach it. He tried again and again, but still could not touch the water.When he was about to give up, an idea came to him. He took a pebble and dropped it into the pitcher. Then he took another and dropped it in.Gradually, the water rose, and the crow was able to drink the water.This idiom is used to indicate that if you keep moving,you will succeed.Through many wins and defeats, I believe you will continue to be better and better.I hope your garden becoming more and more beautiful. China is also a very friendly country, and welcome to come here. I can take you to eat our delicious food here. I’m looking forward to the day. Thank you very much for taking the time to read my letter.I want to get some souvenirs about your Botanical Garden. Thanks a lot.